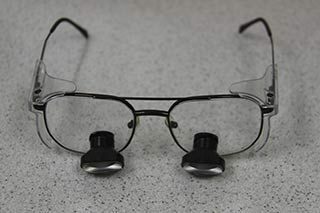 Dr. Bailey and both hygienists use optical magnification in order to see all oral structures better. The advantage of magnification cannot be overstated. Clinicians can only treat what they can see – either visually or radio graphically. The ability to see small problems: decay, tooth fractures, failing old restorations, and calculus allows earlier and more conservative treatment. 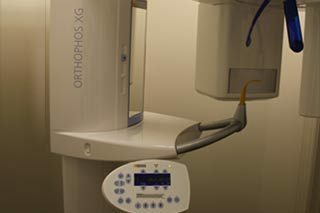 The use of the newest digital radiography, bite wings and panoramic, allows for the best diagnosis and treatment. In addition, the newest digital radiography uses much less radiation than not only older film-based radiography, but also older digital radiography as well. The detail and diagnostic ability today is truly amazing. Even patients can identify decay, calculus, and bone loss when shown digital images. 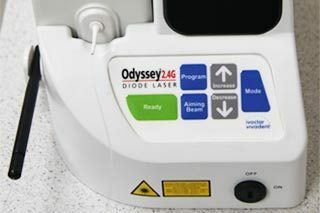 Bailey Dentistry incorporates lasers into the practice of modern dentistry as well. Our soft tissue diode laser can easily remove inflamed gum tissue so that restorations can be performed in a dry, non-contaminated environment. Laser treatment is much less traumatic than simple scalpel excision, and it cauterizes the area as well, so that no post-operative hemorrhage occurs. Lasers allow quick, easy removal of gingival lesions as well. Frenectomies, removal of tongue ties, are now 5 minute procedures that heal within days, compared to past procedures that required traumatic incisions followed by suturing, which required weeks to fully heal. 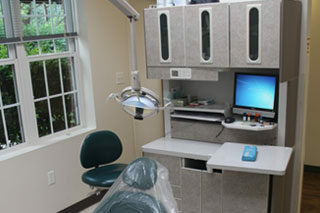 The materials utilized at Bailey Dentistry are second to none. Composite resin restorations (white fillings) use the latest materials that reduce sensitivity, strengthen the tooth, and provide long lasting results. The newest, strongest, most esthetic Zirconia crowns are now utilized to provide the best appearance and strength available to our patients.